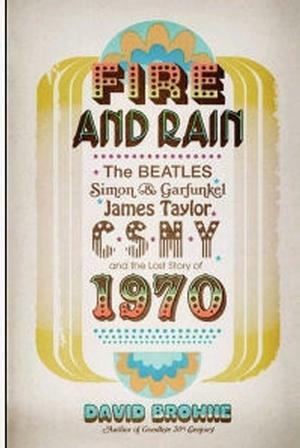 Based on extensive interviews and research, the book tells the story of four pivotal albums from 1970 and the lives and music of the people who made them, all set against a backdrop of a turbulent year that truly saw the '60s giving way to the '70s. Featuring candid interviews with more than 100 luminaries, including some of the artists themselves. Joni is mentioned throughout the book along with a photo of her at the first Greenpeace benefit October 16, 1970.